The Sport Horse Nationals Payback Program is designed to raise prize money for exhibitors at Sport Horse Nationals as well as rewarding the top sires. SHN Payback, Inc., is a 501(c)5 non-profit corporation registered in the State of Maryland since 2007. 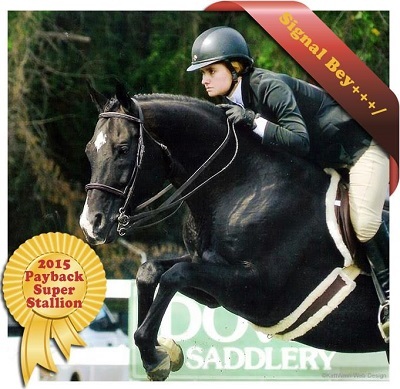 The one and only SHN Payback, Inc., is working hard to support, promote, and reward the Arabian and Arabian-bred sport horse and we are looking forward to a bright future. 2016 Breedings On Sale Midnight December 15! We also wish to extend HUGE congratulations to ALL the winners at SHN. See the rest of this year's Payback winners list on our results page.